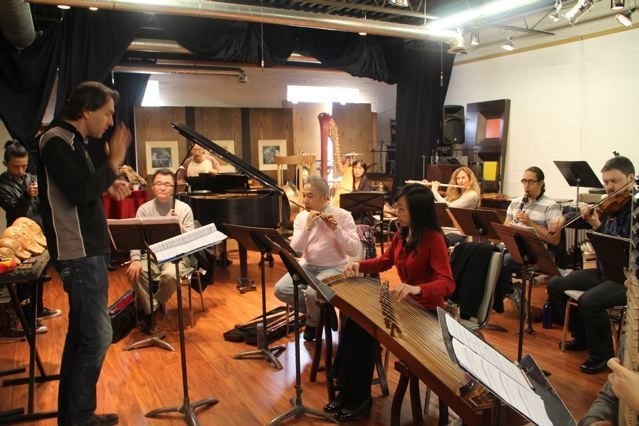 Conductor Leslie Dala rehearses Soundstreams’ Music for China concert on Monday (Soundstreams photo). One of the most rewarding aspects of experiencing newly composed music is gleaning new insight into our contemporary realities. It doesn’t always happen, but when it does as at Tuesday’s Soundstreams Music for China concert, it makes for a memorable night. It was an auspicious start to the largest-ever tour of Canadian music to be presented in China and Taiwan. Margaret Lam is the founder of BeMused Network, a social-technical enterprise helping artists do more with less, starting with an artist-friendly and patron-focused ticketing service. She is also a published information science researcher, a seasoned print and digital designer, and an advocate for independent and emerging artists. Her writing focuses on the intersection of culture, technology and the arts. The program featured five world premieres of music written by composers of Asian descent for both Western and Chinese ensembles. The variety of instrumentations and superb planning made for a visual feast. 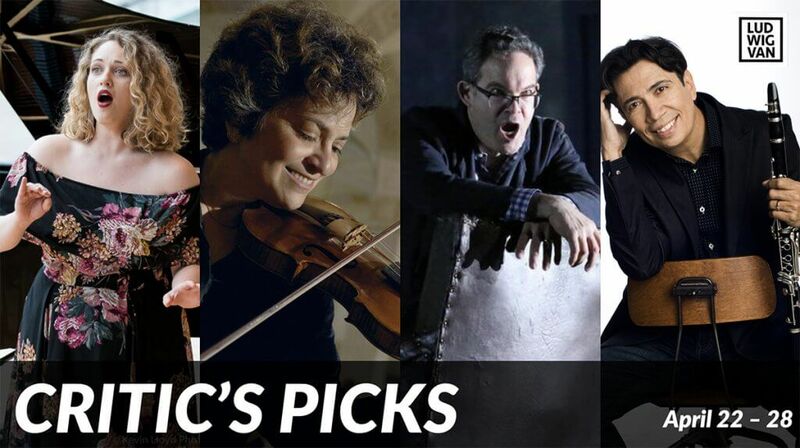 The ears, meanwhile, were treated to a smorgasbord of musical ideas, thoughtfully programmed by artistic director Lawrence Cherney and ably conducted by Leslie Dala for an engaging and balanced experience. Opening the program was Chinese-born composer Fuhong Shi’s Distance, for mixed Western and Eastern ensemble. There was a jarring contrast between the (at times) furiously moving fingers and the lightness of sounds and textures built on very simple motifs. Visiting Taiwanese ensemble Chai Found Music Workshop — Chen-Ming Huang on erhu, Hui-Huan Lin on pipa, Chung-Hsien Wu on di (flute), Jiuan-Reng Yeh on zheng — specialize in contemporary works for traditional Chinese instruments. Their committed performances fully matched those of their Canadian counterparts. After a reflective, almost philosophical, start to the program, we were gripped by flutist Leslie Newman’s virtuosic performance of Terrestre by Finnish composer Kaija Saariaho. 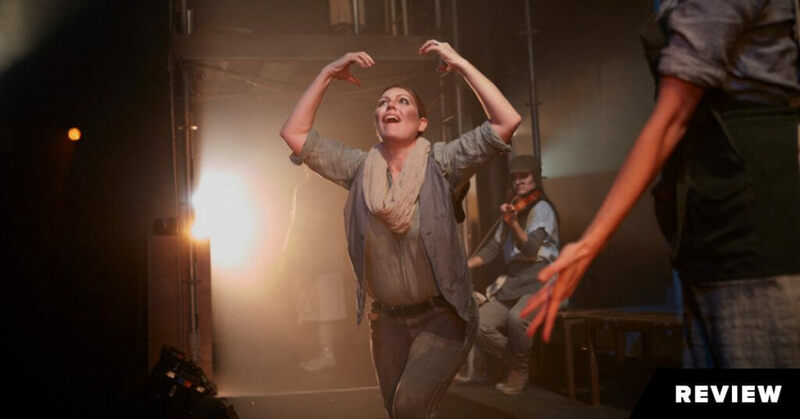 The first half of the piece is based on a story of a bird teaching a whole village how to dance with a driving, nail-biting intensity. I found myself equally mesmerized in the suspenseful second half. The demanding but thrilling score pulsed with the intense playing of harpist Sanya Eng, percussionist Ryan Scott, violinist Stephen Sitarski and cellist David Hetherington. Taiwanese-American composer Ching-Yu Hsiau’s Intermezzo was premiered by its commissioners, the Chai ensemble. The traditional ways of playing zheng and zi, in particular, were stretched in this highly textured work. The juxtaposition of music in a familiar musical language but performed with a different musical voice was striking, and I wished the ending had had the same build-up and transition as the opening, perhaps returning to some of the percussive themes performed on the zheng. Murray Schafer’s Theseus, a work commissioned by Sanya Eng, included members of the Accordes String Quartet. For me, this work nailed the ephemeral narrative without having to rely on words. Schafer plays with intensity through rhythmic and dynamic changes. The melodic theme was easily recognizable even as the tone transformed from pensive to ominous, lighthearted to dramatic. Violinist Sitarski, Carol Lynn Fujino, violist Douglas Perry and Hetherington on cello played with finesse, a deep connection with the music and each other. A surprise appearance by soprano Xin Wang at the end of the piece left a few audience members short of breath as her voice rose behind them. The second half of the concert opened with the world premiere of Layers of Waves by Taiwanese-American composer Chi-Chun Lee. The Chai ensemble once again showed off their ability to perform contemporary music on traditional instruments, but the piece itself was weak in communicating a clear idea, compared to the other works in the program. The programme notes made reference to our futile efforts to control or predefine forces of nature — for which Lin left her pipa in order to conduct the ensemble. The premiere of Alexina Louie’s Cadenzas II for Harp and Percussion was a virtuosic showcase for an unlikely instrumental duo. Eng dazzled with her delicate command of the harp. Scott covered half the stage with his plethora of instruments, and broke out from his usual calm demeanor with a few high-energy drum solos. The finale in Soundstreams’ final concert of the season was a newly commissioned work by American composer Dorothy Chang: Small & Curious Places, a suite of five short movements. Each movement captured a space, whether physical, mental, actual or imaginary. The most striking for me were I. Anticipation, II. Where lost memories gather and V. of ever lingering light. This work needs to be heard over and over again, like a fine poem, before we can exhaust it of meaning. 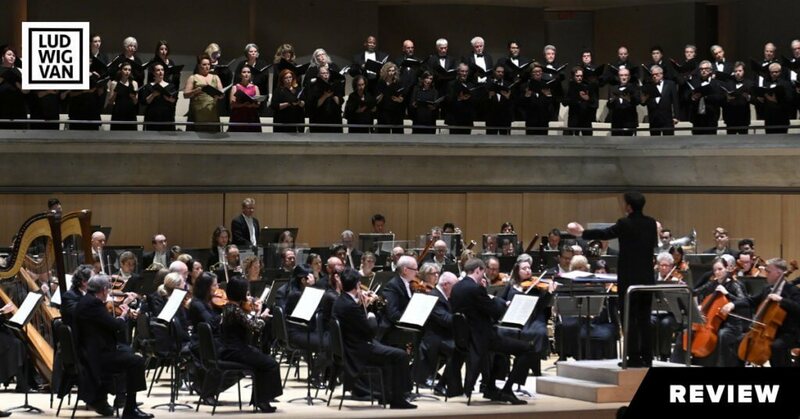 We actually can listen to the music again, as Soundstreams has posted Tuesday night’s live stream from Koerner Hall online. It’s a fine way to send our ambassadors of Canadian music much goodwill — and to start following their tour vicariously online. The video stream of Tuesday’s concert is available below. The concert details are posted here. 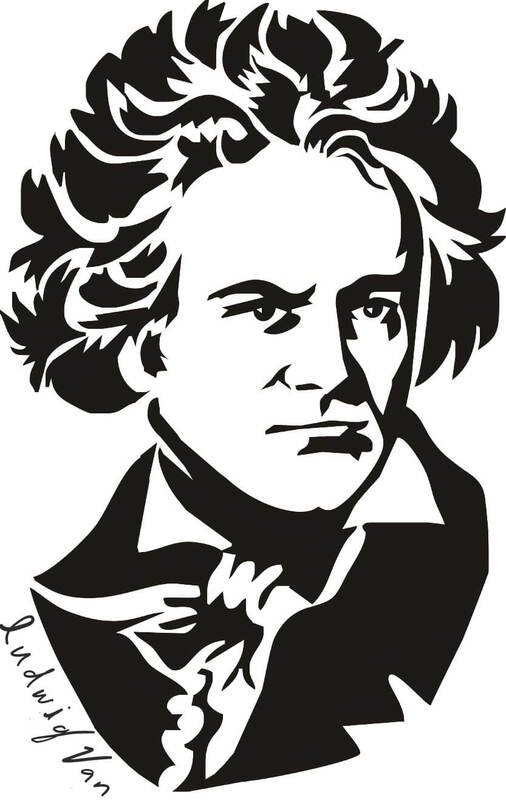 And you can check out Soundstreams’ 2013-14 season details here.